Becoming a poker dealer has become one of the most coveted professions as of late. Being one has many perks – one, they can earn up to $100,000 annually especially when they are lucky enough to deal for poker greats competing in the World Series of Poker tournaments. This amount, unlike poker players, can be quite stable regardless of how the cards are dealt. Two, they can mingle with poker greats. Just imagine having to deal the hand to a player who can one day become one of the greatest poker players to exist. There’s a nice thought to it, right? Third, you can get to travel to deal on international tournaments. In poker, two kinds of people make the table work. The poker players and the dealer. Separated by a railing, both the dealers and players dance together in the lovely music of poker. 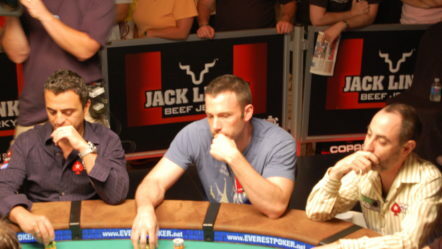 Of the two, poker players always take the center stage. They are the highlight of the tournament. Most often than not, dealers take the backstage and they are hardly credited for a good hand. Few realize that poker players are nothing without a good dealer. If you are a poker enthusiast but would rather take the less popular role on the felt, being a poker dealer may be perfect for you. What is a Poker Dealer? A poker dealer is a person that keeps the game of poker moving. This requires the individual to have a working knowledge of the game, an excellent mathematical skill, and great interpersonal skill. They are the ones who will shuffle the deck, deal the cards, get the community cards, and collect folded hands. In addition, they also have to manage the pot, announce the bets, calls, and raises, determine winning hands, and make sure that the house gets the proper rake. If you think about it, it is a complex job that requires the person to remain in control despite all the pressure. Will Poker Dealing Work for You? If you want to be a professional poker dealer, you have to be willing to learn all the games, not just Texas Hold’em. Not just the basics. You have to learn even less popular poker variations. Staying focused in a fast-paced setting can be crucial. You will have to know how to read bets, the poker hands, and the players to keep up with the action. You must learn how not to take for granted pot sizes. Being a dealer means having to play poker in long sessions. You must really love poker and be fascinated with it to stay in the loop. Poker dealing is a rewarding job but you have to have the proper skill set to become successful in it. Yeah, it may not be a job that would require you to get a Ph.D. but there are some requirements you must possess if you want to be a successful one. Patience. This virtue is something you cannot learn from school. You have to be patient as some players can be quite cautious and take some time to decide on whether they would want to call, raise, or fold. Unlike in live dealers in online casinos, land-based casinos do not place a time limit on players. People Skills. Being sociable is one trait that most successful poker dealers possess. Their demeanor affects their working environment. Having the right people skills can even get players to tip you well. Fastidious. Good poker dealers are quite fastidious, particularly in reading the poker player’s hand. They can easily identify the hand rankings better than anyone else. Mental Arithmetic. You don’t have to be necessarily good in Math, but you must be quick to calculate the bets and pots so you don’t cause any delays on the table. How Can One Become a Poker Dealer? There is not one path into making a career as a poker dealer. If you have the opportunity to talk to most casino dealers, their routes vary greatly. The most surefire way, however, is by completing a four to eight weeks of training and apply at a land-based casino. If you are somewhat familiar in the industry like if you play in a local casino, you can approach the manager and apply. Whichever course you like to follow, bear in mind that you might have to “audition” for the role. You may be asked to handle or deal a live game for about 20 minutes as you are observed by the casino manager. If you are quite new in the industry and you feel like you are a still a noob when it comes to dealing live games, a pre-job training may be required of you. Aside from training, some poker dealers are required to secure a gaming license. Ask your local casino if you would need to secure one. What Will Make You a Good Poker Dealer? With the right training, poker dealing can be a lucrative career and a good form of entertainment. Some feel like they are not working at all as they are having a great time. But, how does one become really good at dealing the cards? They don’t rely on their skills immediately. Most of them work in small poker rooms to gain some useful experience. This means starting with a low salary. That is okay, besides you can also learn to be patient whilst doing so. Remember, patience is one essential trait of a poker player. Train when you can. Some would say you won’t need training, but it could spell a big difference. So get one when you can. Be accurate first then work on speed. In the world of poker, they can forgive you for being slow but it can make or break your career if you make a mistake. So work on your accuracy. You would develop speed eventually. Never become too personal with the players. Poker dealing would require you to develop a thick skin. Some players can get really frustrated and take it out on you. Keep in mind that it is nothing personal. Always be friendly. Having a good demeanor on the table would make the game more bearable. Plus, it could earn you good tips. But, don’t overdo it. Don’t get too focused on high stakes game. You see, high stakes game have a lot of pressure but the tips are not great. Some of the best tippers are from low to mid stakes. How Much Can A Poker Dealer Earn? Poker dealers are paid depending on the casino that you are affiliated with. Most would, however, pay a wage of more than $25 per hour, which is not pretty bad at all. Other factors may change the amount of salary including the tips and the dealer’s experience. The longer you are in the industry, the higher your salary can get. Most of the poker dealers earn a great chunk through tips, which is highly dependent on your skills and your general demeanor towards the players. Some players who attribute their win to the dealer can also give generous tips. Many of the poker dealers deal an average of 30 hands per hour and they can earn $1 per hand, so it is not unusual to earn as much as $30 per hour based on tips alone. This estimate depends on the fact that cash game players generally tip an amount equivalent to one small blind at low and mid-stakes when the pot won is more than 10x the big blind. If the pots are bigger, the tips are accordingly adjusted. Some high stakes winners can tip $100 per hand. Others who have earned a great deal on a table also leave a generous tip for an amiable dealer. Tips during tournaments can be obtained in two ways: one is the mandatory tip and the other is the personal tip. Local events would usually have winners giving the tournament director a certain amount of tip, which will be divided amongst the dealers. Major tournaments, like the WSOP, APT, EPT, and WPT would have organizers withholding about 2 percent to 5 percent from the prize pool to give out to dealers. Do you think you have what it takes to become a poker dealer?